LAHORE: Punjab Chief Minister Usman Buzdar and the provincial cabinet on Saturday expressed dissatisfaction over the performance of the Anti-Corruption Establishment (ACE) and vowed to mend it. “The disappointing performance will not be tolerated and we will fix it,” said the chief minister while chairing the second cabinet meeting here. He said he was aware of the weaknesses of the establishment and would not let anyone meddle in its affairs. The cabinet approved the constitution of a committee consisting of ministers for law and public prosecution for reforms in the ACE. The formation of a steering committee on the implementation of Prime Minister Imran Khan’s 100-day agenda was also approved by the cabinet. CM Buzdar said the progress on the 100-day programme would be reviewed and the report on the progress would be submitted to the CM Office on a weekly basis. The cabinet also constituted a committee consisting of provincial ministers Raja Basharat and Chaudhry Zahreeuddin to decide about use of luxurious vehicles retrieved from companies and authorities. The committee will present its report in the next cabinet committee meeting. 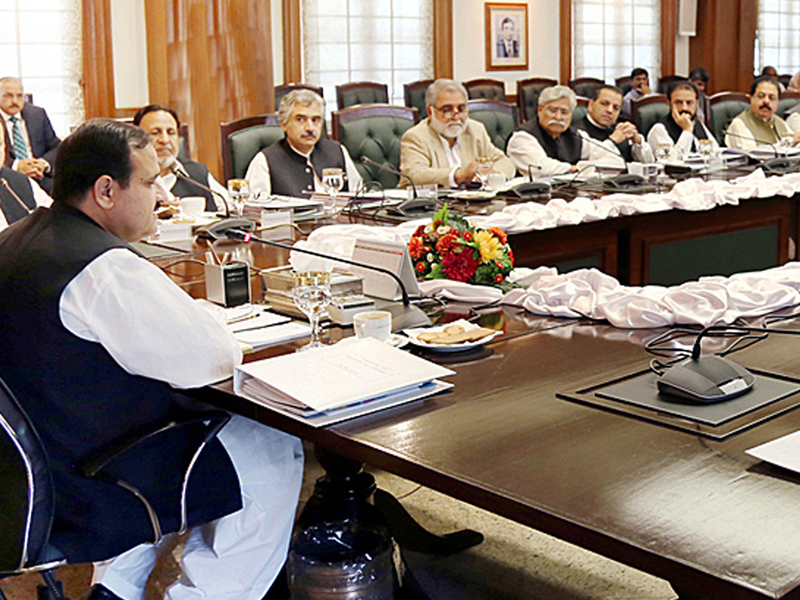 The cabinet also agreed on the name of Nasir Khan Durrani to lead the commission for police reforms. The commission will consist of five members. On the proposal of the cabinet, it was decided that secretaries home, public prosecution and law will also be members of the commission. The cabinet was told in the briefing that a working group had been made for the establishment of south Punjab province on administrative grounds. Besides CM Usman Buzdar, Foreign Minister Shah Mahmood Qureshi and federal minister Khusro Bakhtiar are a part of it. Two different committees were also formed to review affairs of Orange Line Metro Train as well as the Pakistan Kidney and Liver Institute. Besides this, it was decided that different committees would be constituted under senior minister Aleem Khan to look after matters pertaining to health and energy.